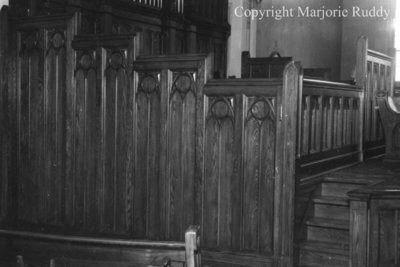 Black and white negative showing the choir loft at Whitby United Church after the woodwork was remodeled in the fall of 1939. Whitby United Choir Loft, Fall 1939, Marjorie Ruddy. Whitby Archives A2013_040_906C.